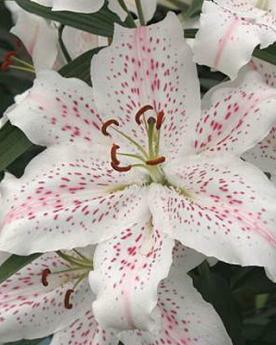 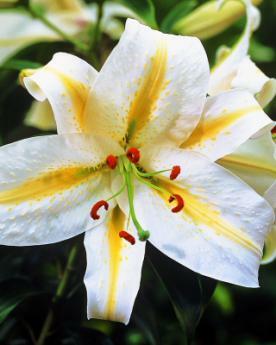 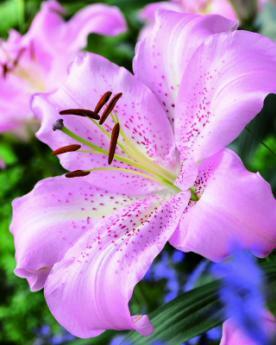 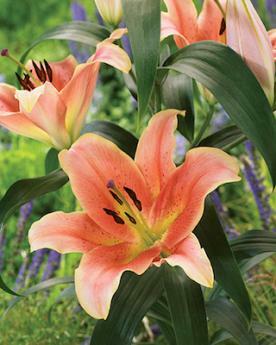 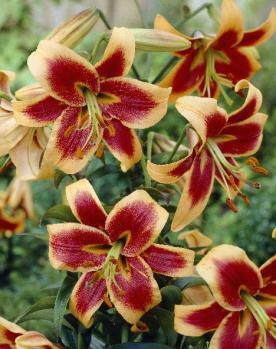 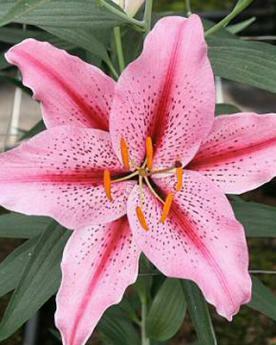 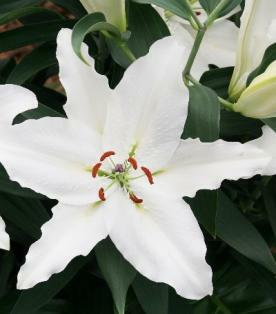 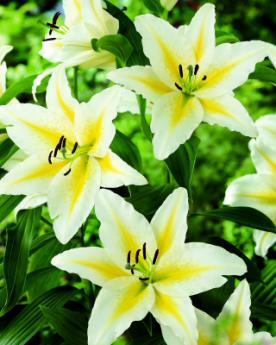 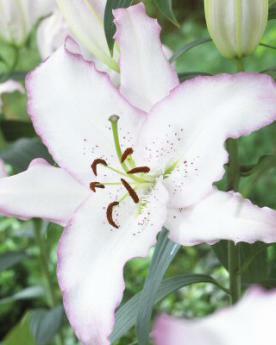 Oriental Hybrid Lilies are originally derived from a crossing between Lillium speciosum and auratum. 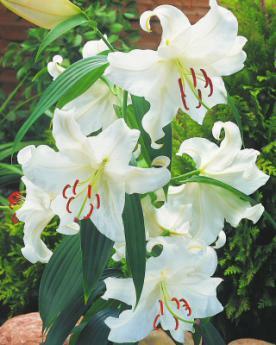 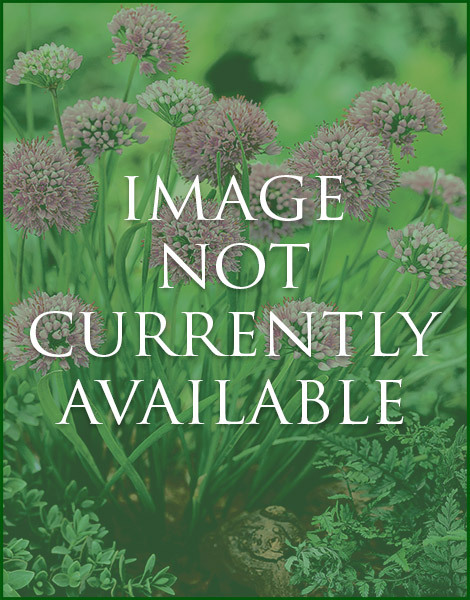 Individual blooms are very large and have an exquisite scent. 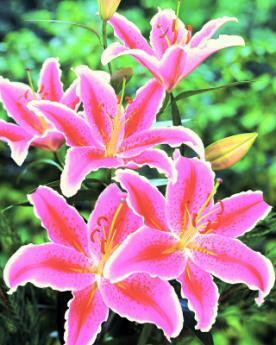 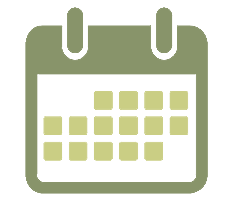 These hybrids are typically stronger and more resistant than their species parents and are often more spectacular. 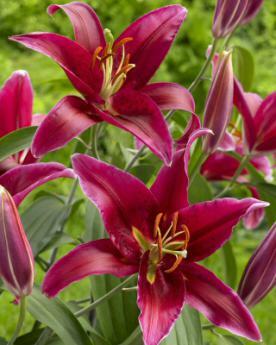 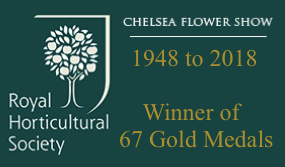 They will thrive with plenty of water, a humus rich soil (use John Innes Ericaceous Compost) and mulch for cool roots.